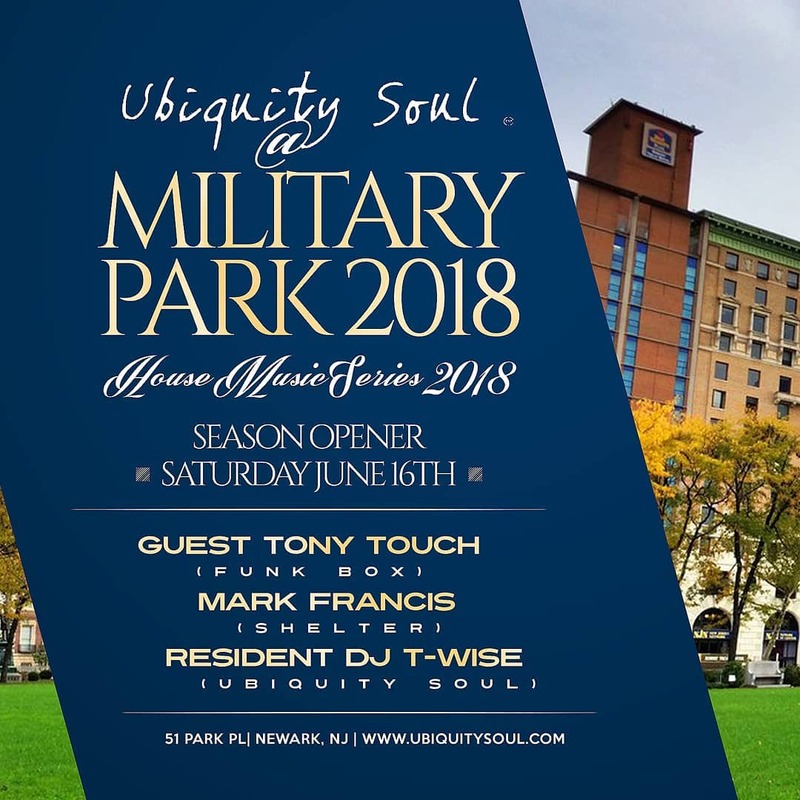 With a 5-way 20,000 watt Richard Long-inspired sound system with a wooden dance-floor, held in beautiful oceanside Bradley Park, in Asbury Park NJ. 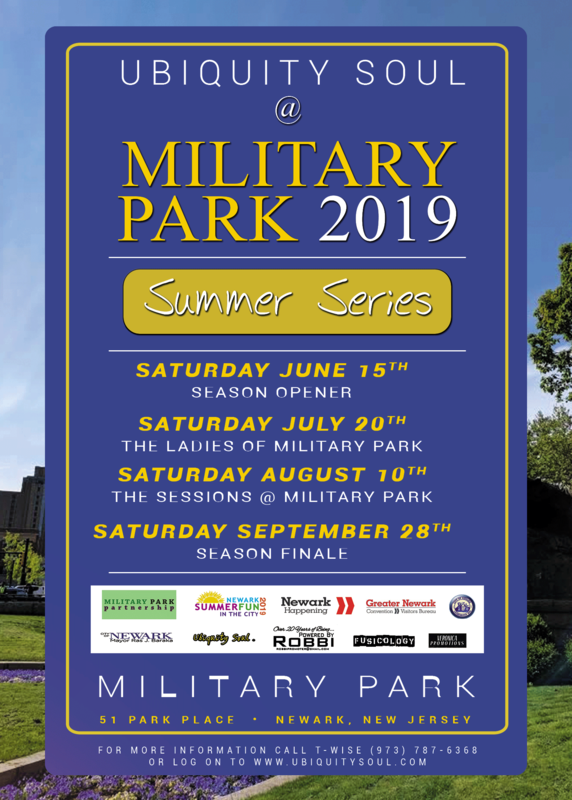 Bradley Park will draw a diverse, outgoing crowd, eager to have fun and dance. 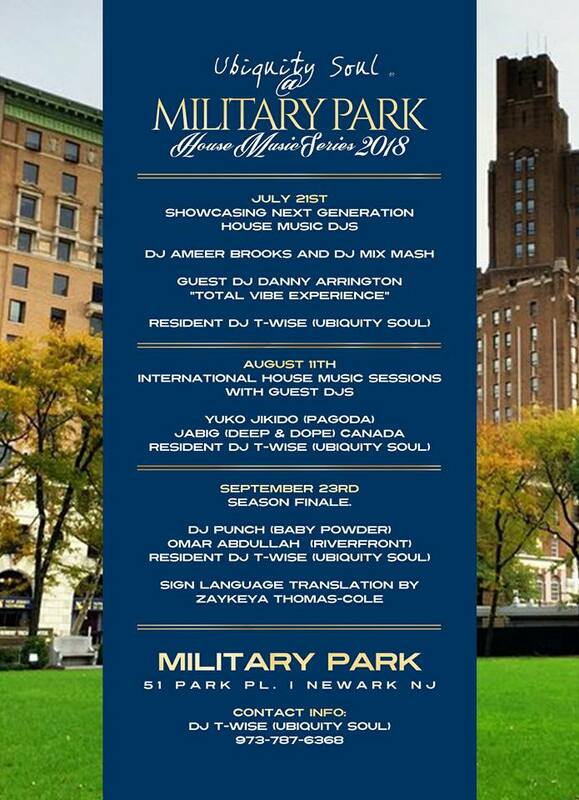 This will be the first ever House Music Festival in the city of Asbury Park Nj. 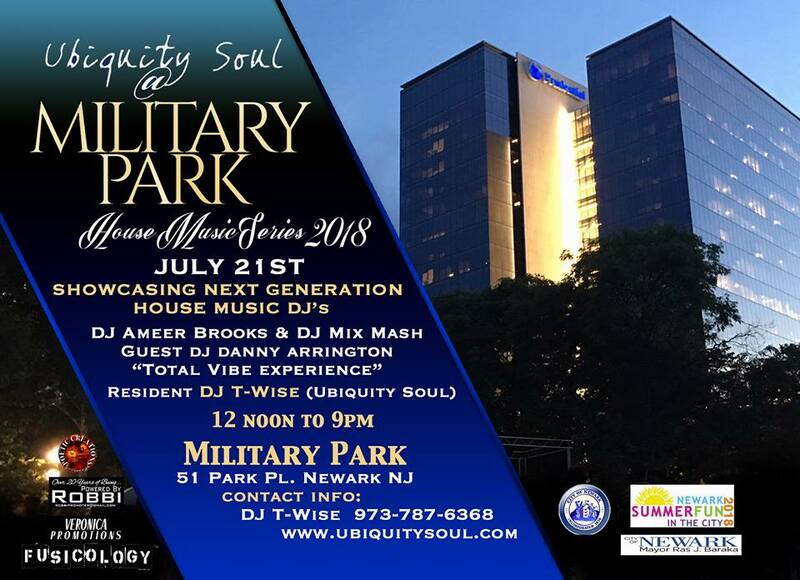 Our goal is to benefit the city and residents of Asbury Park. 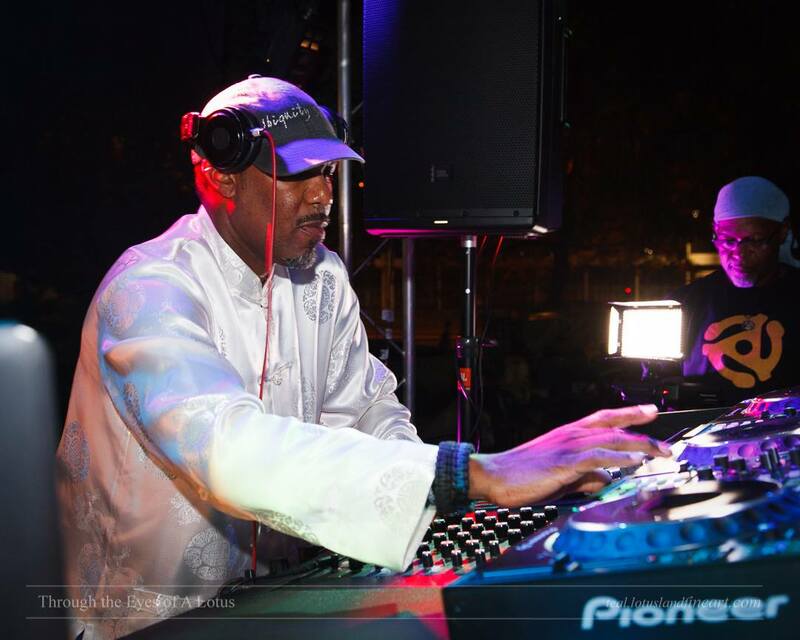 Additionally, we’re doing it for the love of music and its powers to heal and unify. 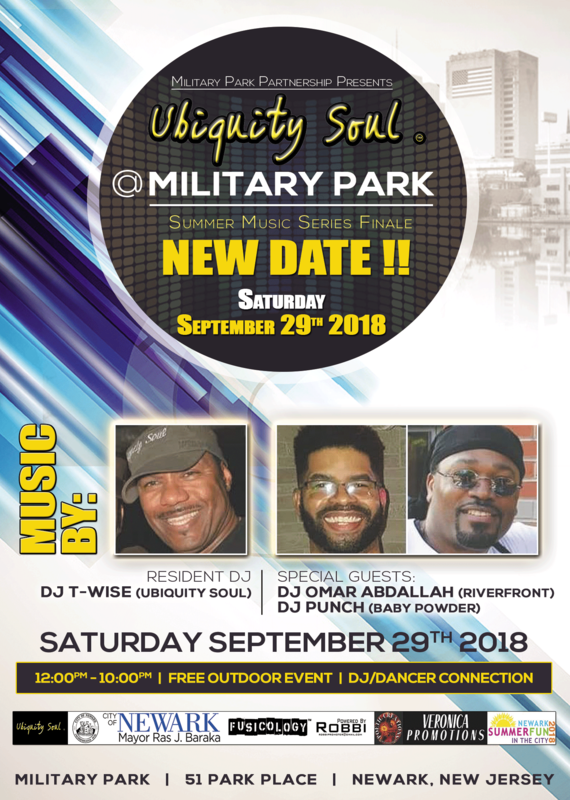 VENDOR OPPORTUNITIES ARE ALSO AVAILABLE!! 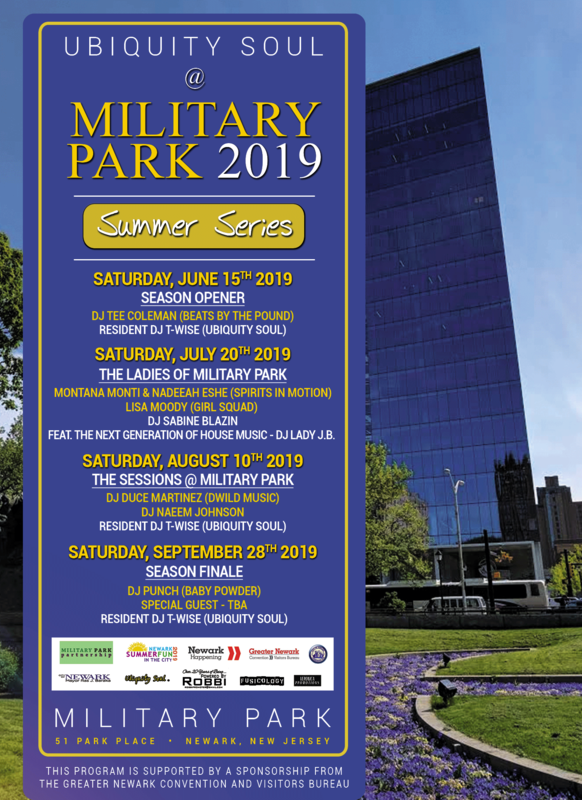 CLICK ON THE LINK BELOW TO APPLY!! 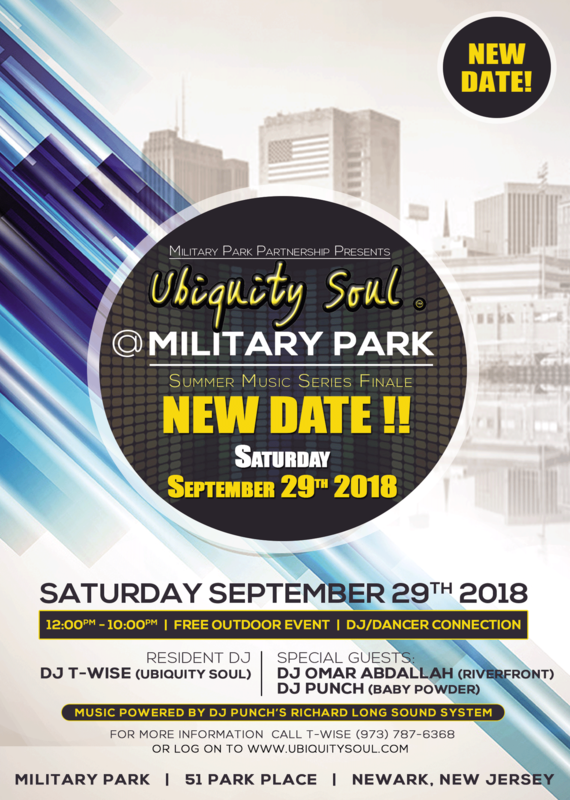 I’m locked and ready!..Here are the Official dates for Ubiquity Soul @ Military Park 2019. 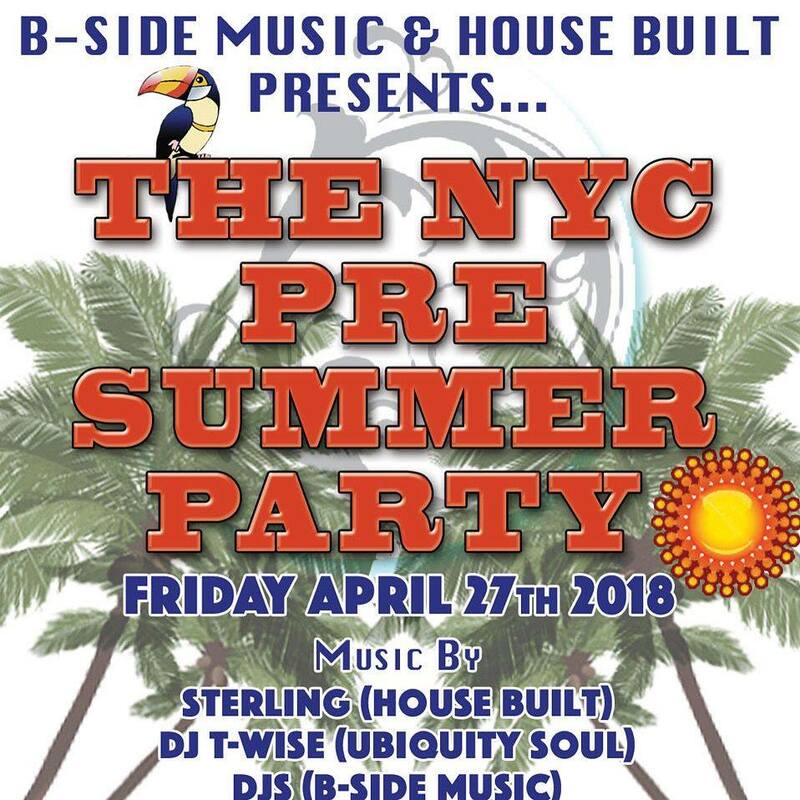 It’s going down! 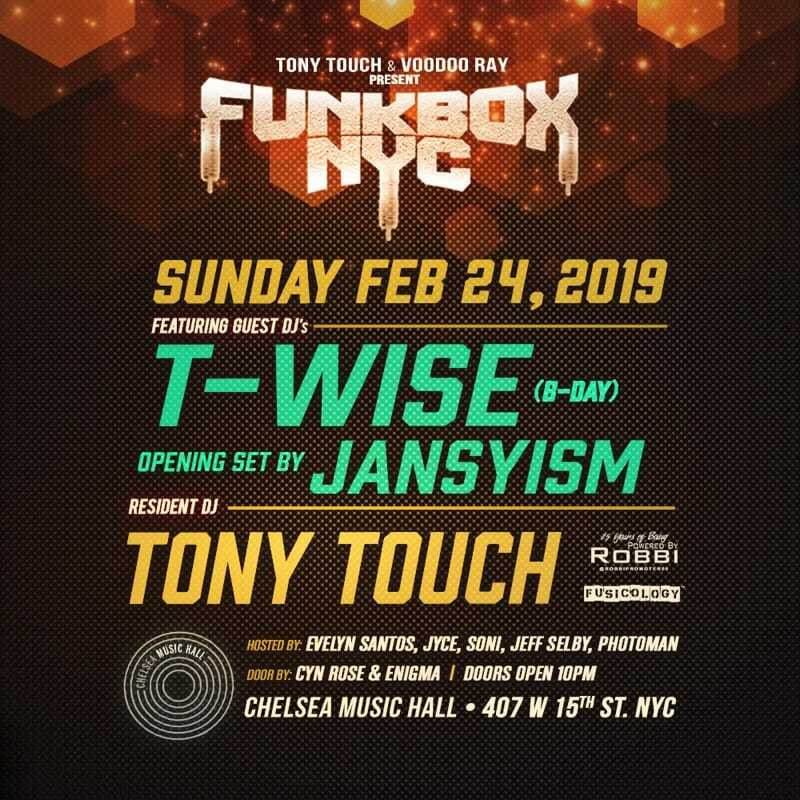 DJ T-Wise birthday celebration at the Funkbox NYC with the legendary Tony touch..February 24th at the Chelsea Music Hall, 407 West 15th St. NY… Get Ready!!  Transfer Hotel – Marina – Hotel. 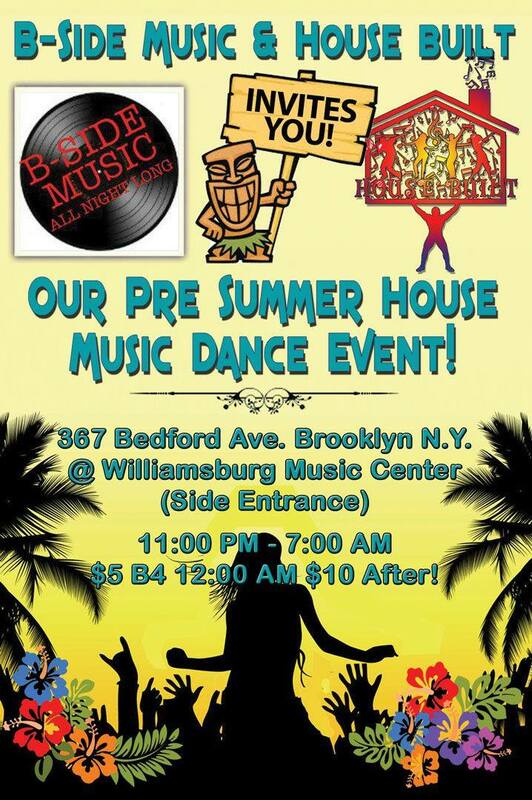 WE HOPE TO SEE YOU ALL ON WHAT’S SURE TO BE A TRIP TO REMEMBER!! 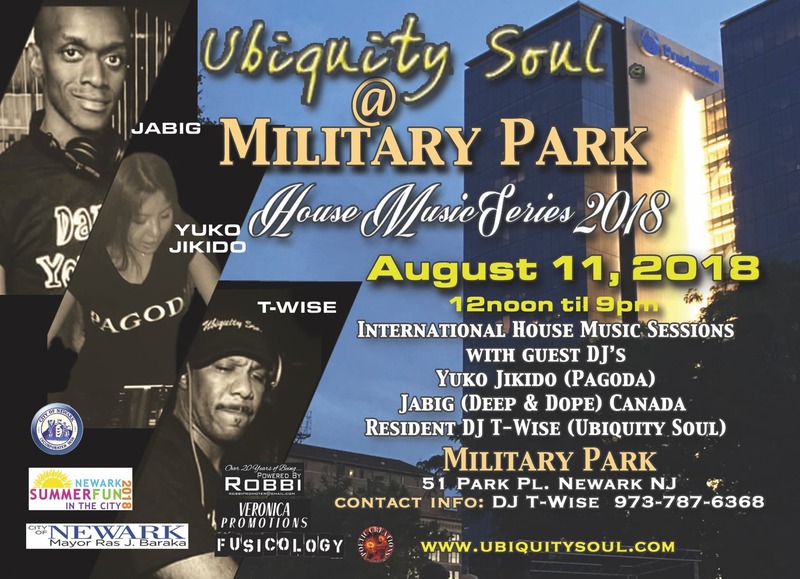 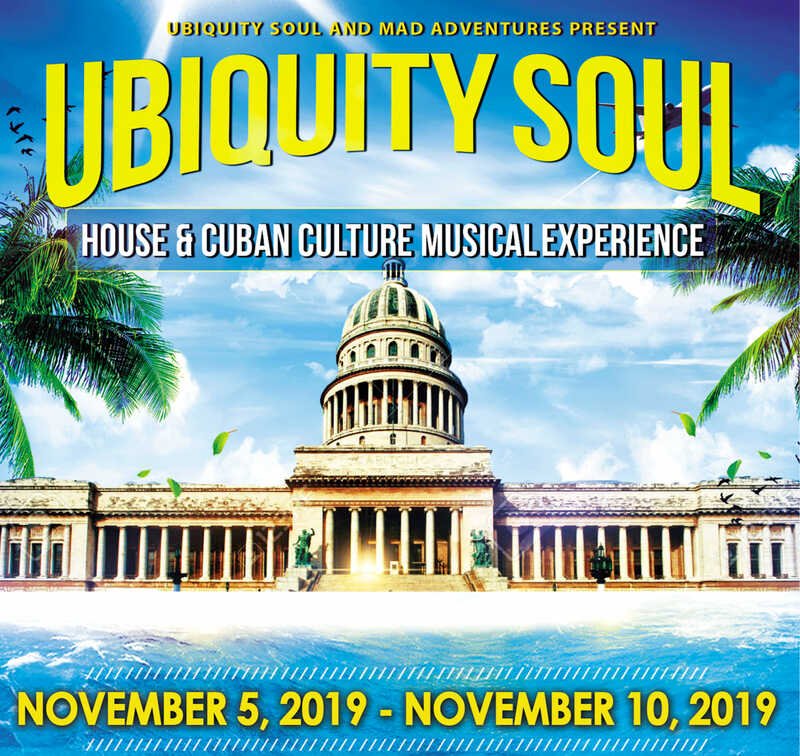 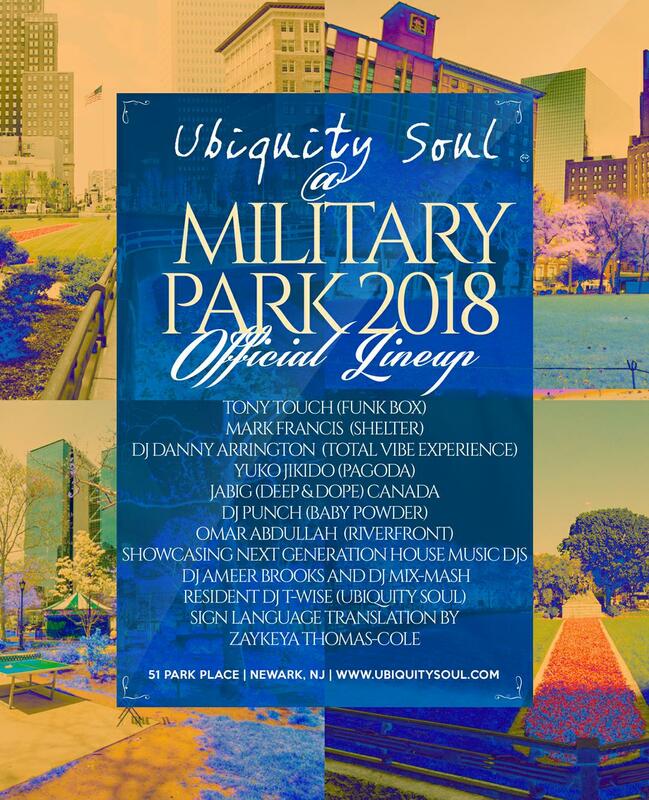 Ubiquity Soul @ Military Park House Music Series final 2018 Lineup..